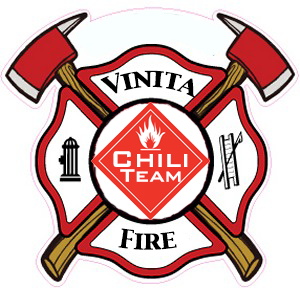 The Vinita Fire Department is still recruiting Craig County citizens looking for an adventure and possible career in the fire service. We have a few openings left on our volunteer side - could you be our next team member? See our recruitment page here for more information. NOW AVAILABLE: Breast Cancer Awareness shirts. Youth Small through Adult XL are $10. 2XL and 3XL are $15. 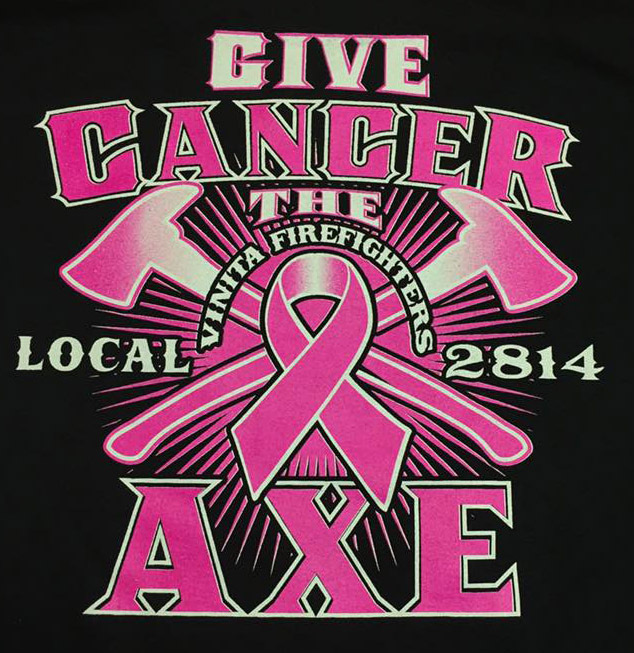 Proceeds support the Craig County Cancer Outreach. 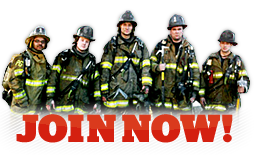 Come by the Fire Department or message us for more information. Today we celebrated Captain Mike Williams' retirement. 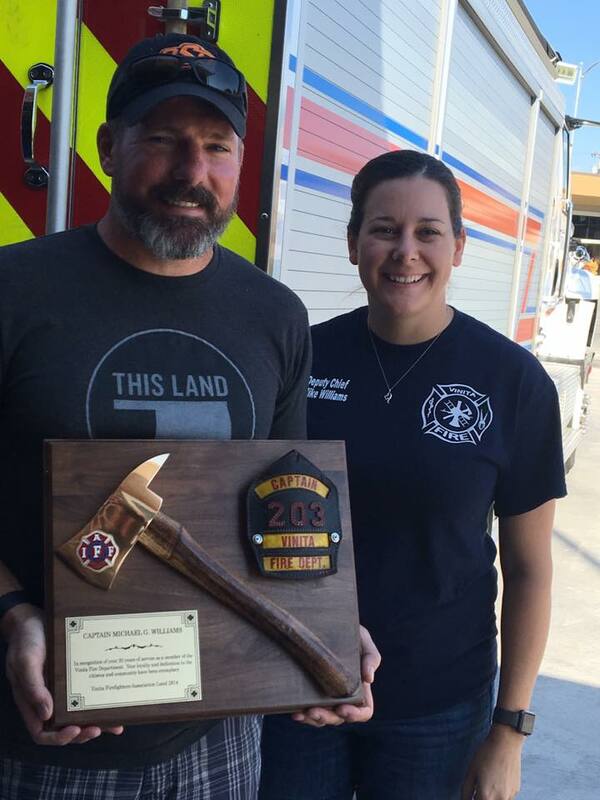 Mike selflessly served the City of Vinita for 20 years. Please join us in wishing him a a happy retirement. Take care and don't be a stranger Mike.